Welcome, I hope you enjoy my stories and poems. Leave a comment and come again. Quote. “It takes wisdom to build a house, and understanding to set it on a firm foundation; it takes knowledge to furnish its rooms with fine furniture and beautiful draperies.” Proverbs 24:3,4. It was 1968! We were living in Mumbai India at the time in a crowded Moslem area of a suburb called Byculla. Life commenced at 4 am with the mattress teaser heading for work singing a deep resonant melody describing his trade and twanging a wire teaser in rhythm support. Almost simultaneously from four corners of the city voices of Moslem religious teachers could be heard from loud speakers in Mosque towers competing with each other for attention of devotees. By 6 am devotees were filling nearby parks kneeling, heads bowed toward Mecca with combined voice praises to Allah thundering through the city. It was a sobering thing to see thousands marching through crowded streets too and from these exercises early mornings. I liked to go up on the flat roof of our multi-level apartments early mornings before the sun, combining with stifling humidity, sapped energy levels. Watching Mumbai awake for the day was a fascinating experience. 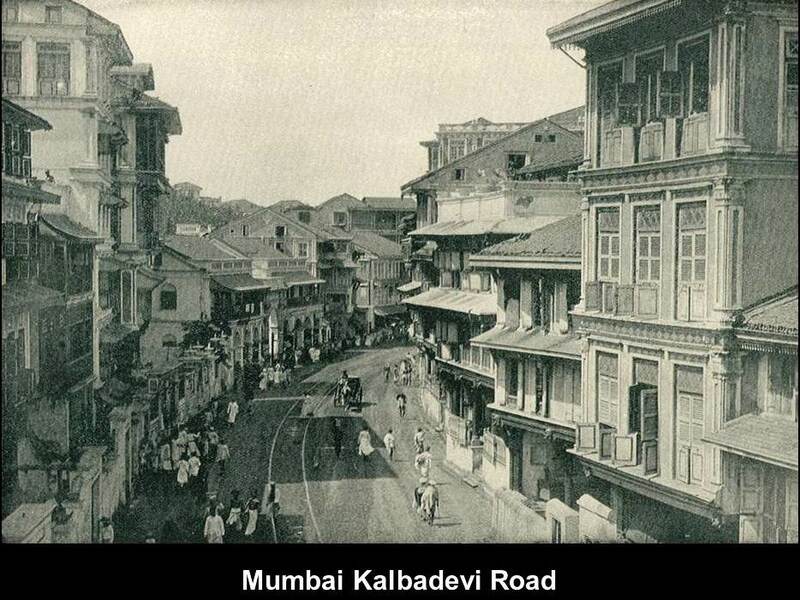 All footpaths of Mumbai were occupied by people without permanent dwelling. Some entirely exposed to the elements, but many in temporary shelters with whatever could be borrowed or salvaged. They’d emerge from street footpath hovels to wash at the nearest broken water main and replenish water storage for the day. Every tribe and race from the far flung provinces of India were gathered together in the city of Mumbai where they could eke out a living and stay alive for the forty year average age of street people. While this human kaleidoscope was interesting in itself, the fascinating purpose of my morning roof top sojourn was to observe how Mumbai had changed in one hundred years. 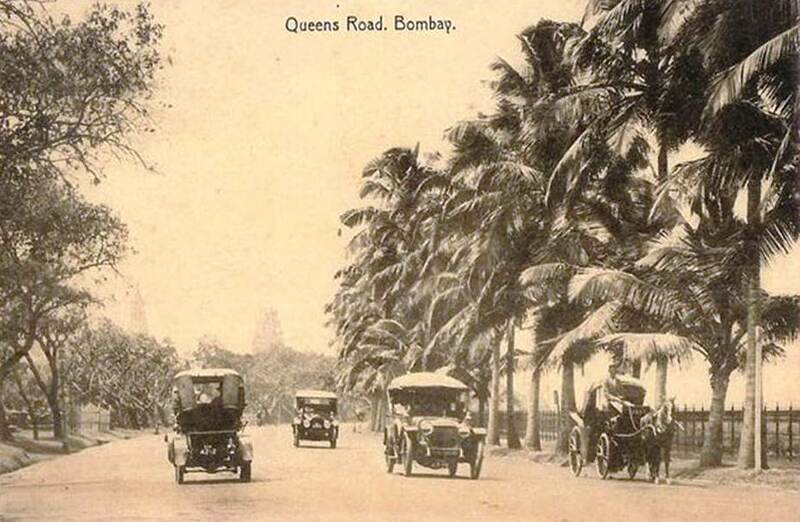 Byculla had been one of the ritzy areas of Mumbai where foreigners lived in mansions with spacious gardens and lots of servants to attend their every beck and call. It had been a tidy English backwater with the teeming peripheral Indian villages a good safe distance from this comfortable transplant community. 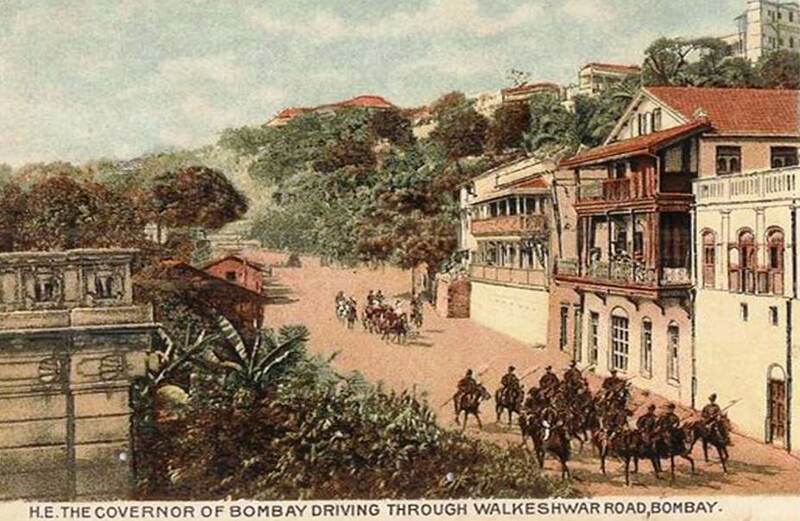 Now Indians had reclaimed this enclave, but there was still evidence of its opulent past if you looked past mould and decay and noted its European inspired architecture. To the side of our residential apartments was a building, now owned by YMCA, which had obviously been the mansion of a rich English businessman when first constructed. While a bit shabby now with peeling paint and rusty iron fence, it had obviously been an impressive mansion in the past with balconies, wrought iron, and a grand main staircase with polished teak and chandeliers on the inside. I liked to imagine that time in the early 1800’s when a businessman must have decided to find a nice quiet spot and build a mansion to shelter his family in the manner of an English gentleman. I imagine the husband and wife spent a time together planning the kind of place they’d like to live in. However businessmen are not architects, and one had to be found to convert this dream into a set of drawings for the businessman and his wife to check out against their vision of a dream home. Once the architect had confirmed his interpretation met their vision, blueprints were formalized. Now an architect does not build houses. Conceptual drawings need to be tested by an engineer who calculates stress loads and considers such things as soil conditions, describing the plan in terms of mathematical equations. It was only then the businessman could have approved a contractor to muster resources and work toward making the dream a reality. Artisans and labourers, bricks and mortar, iron and glass, all had to be assembled and a plan of action formulated to produce a mansion from these disparate resources. Finally to the delight of the businessman and his family his mansion was ready for family and retainers to occupy. Little did they realize their dream mansion would not last forever! It took many years for the architect to learn his trade through study and apprenticeship before he had experience enough to go into business for himself and offer services to the English gentleman. The same could be said for the engineer, the contractor and the skilled tradesmen who actually built that mansion. I could not have qualified for that work, and no one would have hired me. My skill set and education have been in a different field. The building of the planned new YMCA, and the building of the past once magnificent mansion had been made possible through team effort. No single person could claim responsibility. One morning in my early morning ruminations on the roof I noticed something unusual. The old colonial YMCA building appeared to be deserted. Over the next few weeks I observed men with hard hats entering and leaving the building with clipboards and measuring tape. Perhaps a renovation was being planned? Some time after that a fleet of trucks arrived with coolies who swarmed around the building armed with crow bars and hammers. To my alarm that once magnificent building began to be dismantled piece by piece. First the wrought iron was dismantled to make the short journey to Lohar Cha, the iron market. Then polished teak was systematically removed and placed in trucks bound for lakri bazaar, the timber market. Everything of value was stripped from the building until it stood naked and ugly with gaping holes where salvageable items had been removed. Much later a loud thundering noise brought us to the roof to see what was happening in streets below. Two bulldozers ground their way through streets and began to press against the building bringing brick walls crumbling down to be scooped up and deposited in waiting trucks. But there was something that even those powerful machines could not destroy. Incongruous as it may seem the English gentleman had incorporated into his mansion a cement and steel fireplace. What was a fireplace doing in hot and steamy Mumbai? Even in the 1800’s that would have been unusual! The chimney had come down, but the base remained unmoved in spite of powerful mechanical foes. The bulldozers retreated! Next day hardhats returned with clipboards wires and sticks and began to knock on doors of houses surrounding us. They were going to use explosives! At last the ancient fireplace had to yield, and was removed along with last remnants of a once glorious structure. That experience set me to thinking. The ones responsible for building that mansion had to invest in long years of education and experience before they could build something beautiful. The building itself took a long time to construct. It took time to build a Taj Mahal, the Opera House in Sydney, Statue of Liberty in New York and an Arts Centre in London; a building which began its planning in the 1800’s. But within a short time men with limited or no education or experience wrecked a building with hammers, crowbars, spanners, dynamite and machinery. It required no finesse, care and little education to accomplish that. Unfortunately it seems life’s wreckers are numerically stronger than life’s builders, and their work is seen all around us. Think of those who entice innocents into prostitution, into the drug trade, into other forms of crime. A childhood friend of mine was taken into a pub by his father and forced to drink until he became very sick. It was supposed to be an object lesson to teach this teenager not to drink, but the taste acquired ruined the boy’s life. There are other equally insidious ways of wrecking lives. There is no academic course in criticism and condemnation either; we have a natural talent for that. We can destroy lives through improper actions and relationships it seems. What a much better world it would be if we were all determined to be counted among life’s builders and not choose to join those dedicated to tearing down things of beauty around us ? Great illustration and lessons to be learned. Wouldn’t it be a much better world if we were all builders.